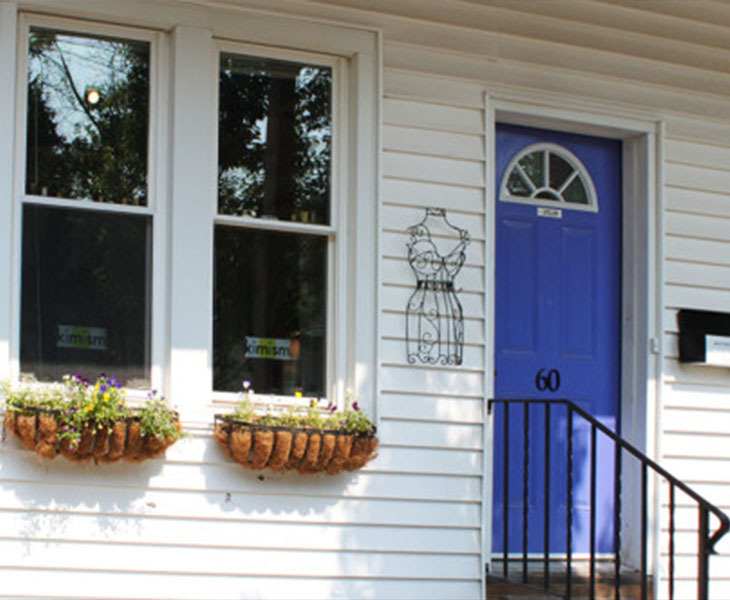 Located at 60 Beekman Street, Khymanyo Studio in Saratoga Springs was established in 1986 by fashion designer Kim Vanyo. Kim trained in Fashion Design at the Fashion Institute of Technology in New York City, and specializes in custom clothing and costuming, with an expertise in dance costumes. 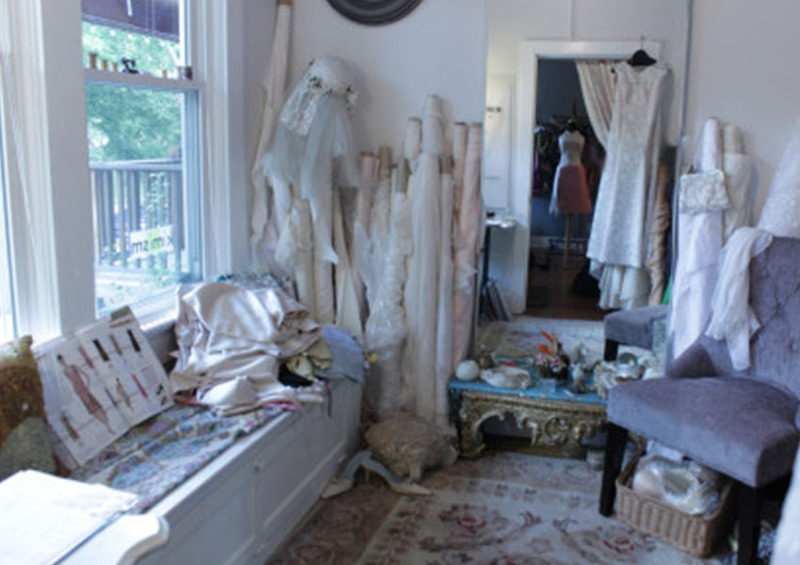 Khymanyo Studio also designs bridal gowns, headpieces, veils, and offers alteration services. Khymanyo Studio also designs and produces a ready-to-wear line under the label “Kimism” – a collection of well crafted separates with an artistic edge that are available in fine boutiques or by appointment at the studio. Hours are by appointment. 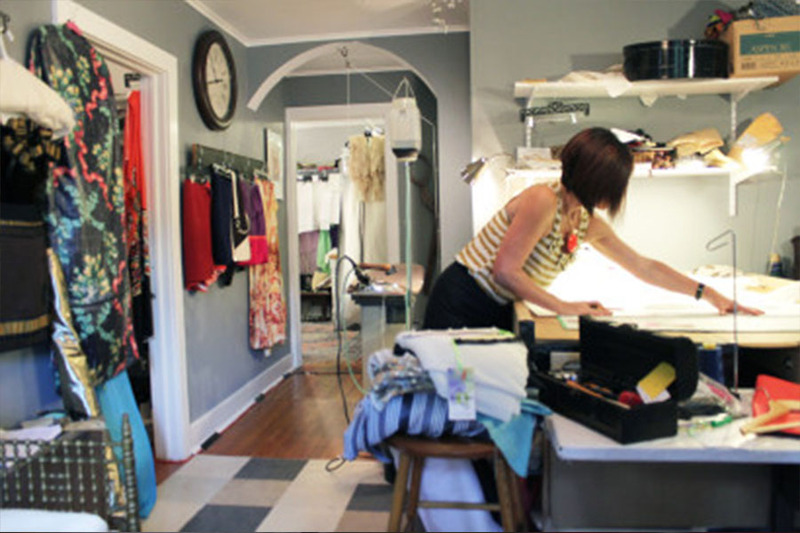 You may make an appointment to sit down with Kim and have her introduce you to a fine inventory of fabric and trims. After 30 years in the garment business, Kim has a wealth of knowledge in sourcing to meet a clients’ wishes!